Property is only worth what someone is willing to pay for it. There isn’t an entity that decides how much a property is worth, it is completely driven by the general population. It’s important that you buy at a good price! The idea is that you start negotiations and let the vendor join in. Effectively, you are showing an interest. Don’t feel bad if you make a low offer, you need to keep your feelings aside. You are not forcing the vendor to sell, you are simply given them an option to accept, decline or engage; you are making an offer. Making an offer is the start of entering into negotiations. This is something I have not mastered yet; negotiation is a skill, but I would like to share with you what I have learned so far. You have already done your research and due diligence, so make sure you convey your knowledge. View several properties before making any offers and let them know you understand the local market. Asking well-informed questions is one way of displaying your knowledge. Keep calm and don’t look too keen when viewing. Take time to think about your options after all your viewings, and don’t rush into making any offers. It is important to remember that the estate agent works for the vendor and not you. They are professional negotiators and the higher the offer the vendor receives, the higher commission they receive. Be prepared for bargaining tactics and take what they say with a pinch of salt. You must remain calm and confident. Buying as an investor means that you do not have anything to sell, and this can be very appealing to vendors if they have to move quickly due to work or a whole raft of other reasons. Speed in the sale can be more appealing than the highest price to some vendors. Make this clear to the agent or vendor when viewing. If you have your deposit funds and AIP, you are good to go! You can only be beaten buy a cash buyer in terms of speed. If you want to develop your negotiation skills further, I can recommend Everything is Negotiable by Gavin Kennedy . It’s a book packed with advice on how to handle negotiations in the world of business. Remember this important statement – you make your money when you buy a property, not when you sell! There are some repairs and/or improvements that would need to be carried out. The property has been on the market for a while and hasn’t sold. I prefer to make my offer in person so that I can read their reaction. I then back up my offer in writing which also confirms my terms and conditions. Here is a copy of my offer letter which you can use or alter to fit your circumstances. You will see that it also emphasises that I am in a good strong position to buy with a predetermined timeline for completion of the sale. Making your offer over the phone, backed up with an email with the offer letter, is fine. 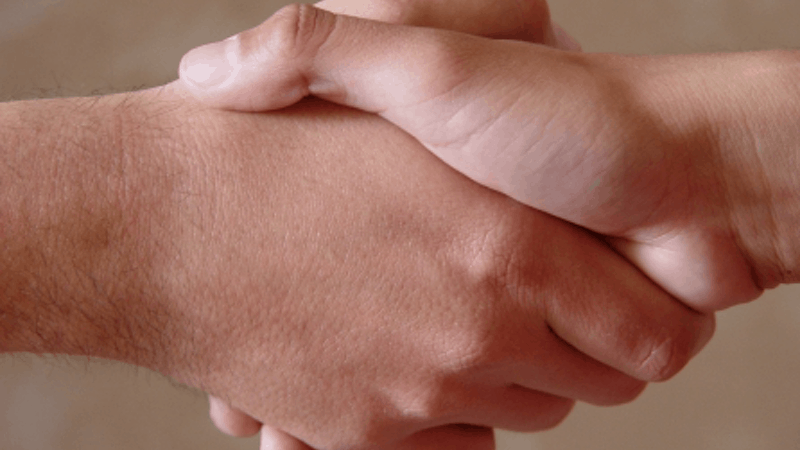 Tip: If the vendor comes back to you with a counter offer, and you are happy to accept, it is worth requesting a condition before agreeing to that offer. This happened to me when I was looking to purchase my first renovation project, and I agreed on the condition that I would be allowed access to the property between exchange of contracts and completion. This gave me 2 weeks to remove the old carpets, kitchen, bathroom suite etc, before I had to make any mortgage payments. Time is money! Once your offer has been accepted, you need to understand that it’s not legally binding (in England and Wales; there are different rules in Scotland) until the exchange of contracts. Both you and the vendor can pull out. It is important that your solicitor moves quickly once you have paid for any survey and valuation fees, as these cost hundreds of pounds and are non refundable if the vendor pulls out. It is not too common, but it has been known to happen. The main reason a vendor would pull out, would be because they have received a higher offer. This is called “gazumping”. If you are “gazumped”, you can either drop out or counter-gazump. This is why it’s important to insist the vendor agrees to take the property off the market once your offer has been accepted. Some estate agents will let you put down a non-refundable deposit to “lock-in” the sale for a certain period of time. This protects you against gazumpers, but not all agents will agree to this. This is something I have recently learnt but have not yet tried. If you do this, make sure the terms state that you will receive your deposit back if the vendor pulls out. I hope this post has helped. If you have any questions or any tips, please leave a comment in the box below. Thanks! Hi Andy, another great post I keep referring back to. I’m still looking for my first property and wonder how leasehold/freeholds would a) affect the landlord-tenant relationship and b) affect the investor when looking at the value of a property? Great question! To be honest, I don’t have first hand experience with leasehold as I have always purchased freehold properties. a) There maybe some terms to the lease which may restrict the tenant from having pets and could restrict you from laying hard wood floors (due to noise). Providing your prospective tenant is aware of any restrictions on the lease when viewing, it shouldn’t affect the landlord-tenant relationship in the future. b) In terms of the value, I know this can have a huge affect so it would be very important to get the numbers right before you make your offer. If my memory serves me correctly, it can be difficult to mortgage a property with less than 75 years left on the lease. I have heard that some investors will only buy properties with a 125 year lease, so if they decide to sell in 25 years time, they are able to do so without the hassle of additional paperwork and fees. Alternatively, if you have the time and patience, purchasing a property with a short lease could be an advantage as you may be able to lock in some equity from the start after fixing the problem. Are you a member of Property tribes? I would recommend visiting their website as I know there will be members who have lots of experience with this http://www.propertytribes.com. Thanks again for your question and feedback. Are you looking to invest near where you live or further away? Please let me know if you have any more questions and I will do my best to help. All investments are exciting and I know the first one can be daunting too, so feel free to ask away …. Hi Andy, thanks for your feedback, I have now signed up to property tribes. I’m looking to invest in the greater Manchester area. I’ve seen a few properties a bit further a field, Burnley and Liverpool and am willing to look at anywhere I can drive to. However most of my research is around greater Manchester (Oldham,Rochdale and Bury). One more question, a bit personal so feel free to ignore this but how on board was your partner with getting involved in property investment and how involved are they now? Hi Andrew, you’re welcome. I believe the North West is a great area to invest. My last purchase is in Liverpool and I will write a blog post about the whole experience from start to finish soon. I think you are in a great location and I think buying your first investment within a reasonable distance from where you live is a good idea. My wife and I both fell into property investing as accidental landlords through our circumstances. When I was serving in the Army we lived in our own home and when she fell pregnant, we both decided to sell, move into service accommodation so I could live and work at the same location, and buy somewhere to let so that we could remain on the property ladder. It was an easy choice for us, so we were sort of nudged into it. I know it can be difficult for people to start when they are not nudged into it like us, which is one of the reasons I started this blog. There are a lot of people who would like to invest, but are sceptical, so I do my best to break down each step and help reduce the risk associated with property investing as much as I can.